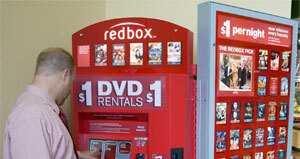 Redbox, the increasingly omnipresent DVD rental kiosks, have been testing video game rentals in their machines since Aug. 2009 in limited locations. Now the company is ready to move into more regions of the United States, but you have to wonder if the video game industry is going to react as well to this as the video companies have. Redbox announced this week that it would be expanding to the West, Midwest and Atlantic coast regions of the country with its video game rentals to continue to judge just how interested customers are in the concept. Like the video rentals the company are famous for, the pricing is lower than most stores offer with prices running $2 a night for games plus tax. Some of the initial titles that will be available include Halo: Reach (Xbox 360), NBA 2K11 (Xbox 360 and PLAYSTATION 3), New Carnival Games (Wii) and Dead Rising 2 (Xbox 360 and PLAYSTATION 3). Customers will also be able to go to redbox.com/games to see which games are currently carried by Redbox kiosks near them. Considering all the issues Redbox has had with movie studios over the low rental prices, leading to 28 day rental delay windows from the retail release of titles, one has to wonder how the video game industry will react. Seeing as sales of video game software continues to decline, you can’t imagine that the distribution companies and game studios are going to be too thrilled with widespread, low priced, game rentals. Could we see similar deals for games where the company has to wait a month before they can rent them? Only time will tell, but we can’t help but think that at some point that there will be some very in-depth discussions. What say you? Will the video game industry react negatively to this expanded test?